Lavash is a soft thin unleavened flatbread traditionally made in a tandoor, in a variety of shapes. The main ingredients are wheat flour, salt and water. The bread is soft while fresh but quickly dries out and becomes brittle and hard. In its dried state, the bread can be stored for months. It is made in large batches and stored for later use and rehydrated by sprinkling with water and reheating as needed. Soft lavash is served with kebabs or used to scoop up food or wrap around food before being eaten. 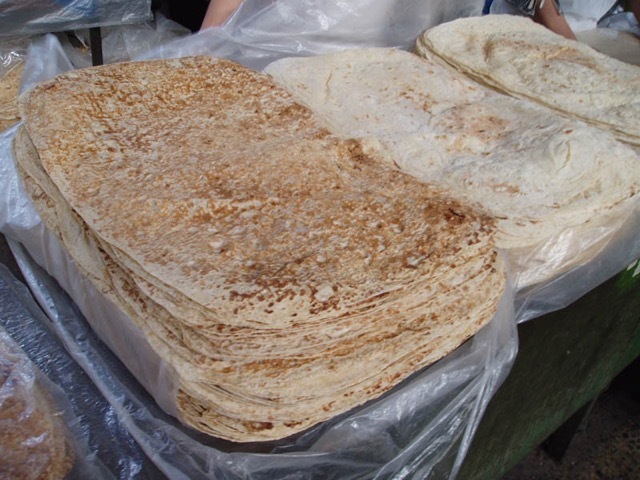 Lavash is eaten in Armenia, Azerbaijan, Georgia, Iran, Russia, Turkey, Western Asia and the area around Caspian Sea.